Ahhhh!!! 'Tis the season and we are SO grateful (1) for amazing photos and (2) for such a quick turn around. :) We love them...It was such a pleasure working with you - just the kind of low key vibe we were looking for in terms of an experience conducive for our family. And we couldn't ask for a better product! It's wonderful when both means and the end align in awesomeness. The pictures Cydney took are worthy of being memories for a lifetime. Her good eye for settings, creative use of spaces, and unique photojournalism background really captured and matched our simple, alternative wedding. 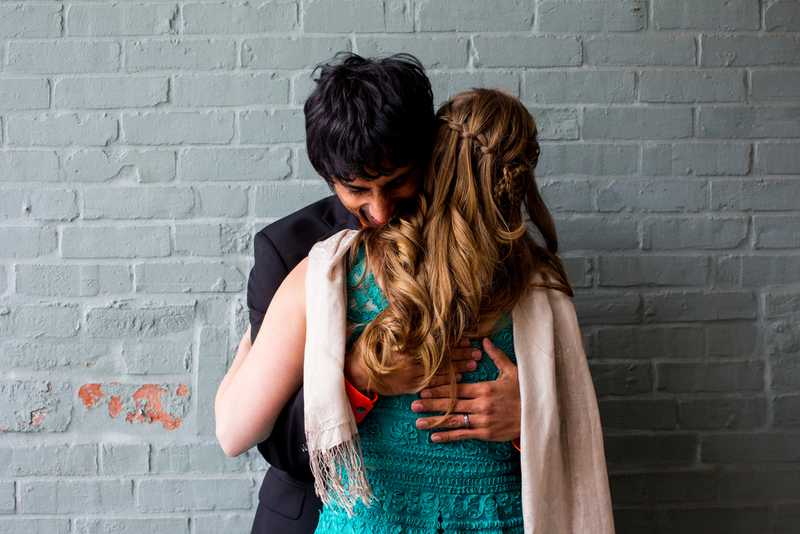 She was the perfect photographer for us — our friends and family have raved about the pictures. Thanks for an awesome shoot, Cydney! We had fun (even Little Miss No Smiles, I promise) and LOVE the results. It was great shooting in our home, comfortable and natural environment, and you captured a great mix of posed and spontaneous (and some that were a good bit of both) images. Now comes the hard part…choosing our favorites! Thank you so much for these amazing photos. CJ and I were so excited to get off the plane this morning and have them in our email. They are all so great and captured the night perfectly. I can’t wait to go through them again (and again) and pick out our favorites!! Cydney did such an amazing job on our first family portraits this past weekend. Her work is outstanding and the way she worked with our family and dogs was fantastic. We will use her as the family photographer in the future and we highly recommend her. Our sister-in-law has used her before and was very pleased as well! Cydney! We just took a look at the pictures and we LOVE them! You were able to capture the Aayan we know and love – even with a cold! Thank you so very much!! This is the best birthday gift you could give him (and us!). Thanks again! We are already looking forward to another session with you this summer! WOW!! They are wonderful. Thank you so much for a wonderful shoot, your patience with us & your child-whispering ways. I think we got some great shots… I can’t wait to order them! Cydney, I’m completely in love with these photos! Thank you so so so much…We are so thrilled! Its been over a month since my wedding and after looking AGAIN at all of my wonderful pictures that you took for us, I find myself completely drawn back into every moment like it was happening all over again….its not the video that I keep coming back to, with all of its sound and movement, but your brilliant photography! It speaks for itself and has its own motion that makes me relive the day over and over in all of its magnificence! 2018, 2016 One of Expertise.com's top 19 Best Portrait Photographer's in Boston. 2013 Council for the Advancement and Support of Education (CASE) Gold Medal Photographer of the Year. Judges comments, "The panel agreed that Cydney Scott presented a decisively distinguished body of work. The educational environment presents a special atmosphere of refuge where growth and inquiry are protected and flourish. That atmosphere is present throughout Scott's photographs. The photographer has managed to maintain the integrity of personal vision and sensitivity to the people and environments depicted, presenting a sense of authenticity as well as the inherent power of documentation. There is no sense of contrivance or overt messaging. It is simply sincere and accessible. Scott has recorded the natural interactions between people, at times with a touch of humor. Many years in the future, people will look at Scott's work as important documentation in the tradition of photography that preserves a sense of time and place, historically one of the most important contributions of photography in general."